Water heaters will accumulate sediment over time. It’s unavoidable since the water is collected from your local water supply. Annapolis residents must be mindful of sediment levels in their water tank. Keeping them to a low levels protects the quality of your water supply and limits the internal damage that could happen to the tank. How often should the water heater be drained? the water is hard due to a higher level of minerals found in the water. 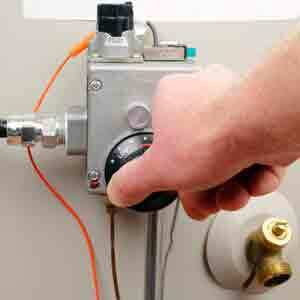 How do you detect water heater problems? Water heaters can exhibit signs of stress if sediment amounts reach a certain level. One of the most common signs is that the water can take a much longer time to warm. This is because the sediment can form a barrier within the tank that affects heat transfer. Another sign to watch for is if the water heater makes odd signs when the system is running. The odd noises show that the system is working much harder than it normally would due to high levels of sediment that has accumulated in the tank. The water supplied to your home may appear to be harder. The hard water is a sign that the sediment found in the tank is making its way to your plumbing fixtures. Finally, the water flow may become restricted. The clogging is due to the fixtures having to transport sediment that can harden in the plumbing. The water is transported at a much a slower rate than usual because of the buildup attributed to sediment lodged in the pipelines. There are two ways to collect the water as it is being drained from the system. One way is to use a bucket and remove the water collected within multiple trips. The other method requires that the hose be placed far away from the property, so that the hot water doesn’t scald any pets or young children. First, the water supply needs to be turned off followed by the electricity or gas. The hose should be attached to the drain valve, so that it collects the heated water. Both the drain valve and pressure relief valve should be opened to free the water. Once all of the water is removed, close both valves. Restore the power to unit, and fill the tank with hot water again. Draining the water heater maintains the performance of your Annapolis system. It promotes energy efficiency and softens the water. If you haven’t drained your Annapolis, MD water heater in a while, you can schedule an appointment today with Heidler, Inc. at (410) 268-7191.